Honey is present since thousands of years. Spanish paintings found in caves, which are around 8000 years old depict human figures gathering honey. All types of honey originate from same place; however, labels that read pure, natural and raw may confuse you about the type of honey. Typically, raw honey is considered to be natural and pure; however, all natural and pure honey is not raw. If it still sounds complicated, read on further. Pure honey implies addition of no additives (even natural additives). Raw honey implies it is not processed and contains no additives. According to US Food and Drug Administration, there are recommendations for labeling of honey but there are no requirements for the same. Due to this, manufactures can utilize certain terms freely according to their will; hence, being a consumer, you should use your common sense and figure out the correct meaning of a label. Pure honey does not contain any additional ingredients in it. Including corn syrup, sugar or natural or artificial flavoring and they should not appear on its label. The label of pure honey may also read as raspberry or clover honey depending upon from which plant the bees have obtained their nectar. (Beekeepers exclusively keep the bees near certain types of plants to make sure that bees make nectar from those particular plants only). How to Choose the Quality Honey Product? After talking about raw honey vs. pure honey, let’s discuss how to choose best quality honey. There are certain specific characteristics present in honey that you should look for so as to make sure that you choose the best quality of honey. Sweetness: Two types of sugar are present in honey: glucose and fructose. This makes honey sweeter in comparison to regular sugar. Water content: Less than 20% water is present in honey. Due to this, microorganisms are not able to survive in honey, which increases its shelf life. Water content determines honey’s quality. Honeys of premium quality should have 18% or less of water content. To compare the water content of honey present in 2 different jars, turn the jars upside down. The jar, in which bubbles rise faster to the top, has greater water content. But, honey pulls moisture from the air and that may start fermentation in the honey. To prevent fermentation of honey, it should be stored in a container that is airtight. When stored properly, honey may be preserved for many decades, even many centuries. Processing: Apart from water present in the honey, processing is another thing, which should be considered when talking about quality of honey. 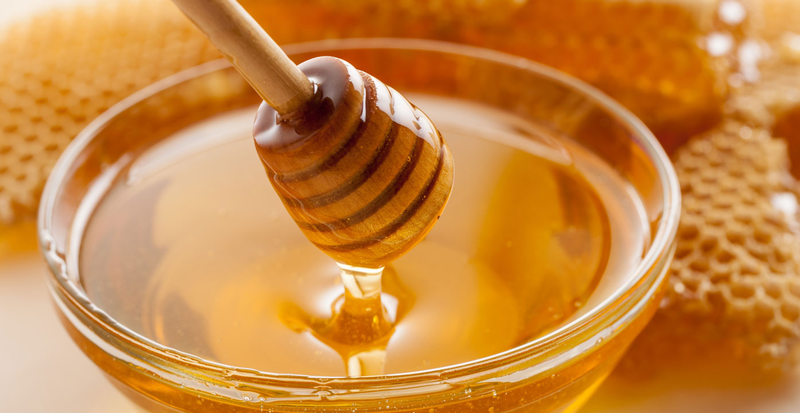 The best quality honey is processed minimally, which implies that it is only slightly heated and strained. By doing this, honey retains all its antioxidants, vitamins and minerals. Minimal processing and water content are two important things that should be considered while buying honey. However, there are other things such as products to flavor honey including corn syrup that should be considered while buying honey. These products may contain starch, flour, preservatives, dextrose etc. so make sure to read labels before purchasing. Pollen: Pollen is present in honey of best quality, due to which it does not appear clear while looking at the bottle. The pollen is left inside the honey during the filtration process while the debris such as wax, bee parts etc. are removed. When you look at the bottle of honey, the clearer it looks, the more processed the honey is. The honey that is least processed is of best quality and does not appear clear. Color: Honey has different colors ranging from light yellow to dark brown. The color of honey depends upon the flowers from which the bees made the honey. Color does not indicate the quality of honey. Color of honey can change with time. It can become darker and may affect flavor of honey. Spoon test: You may evaluate the honey quality by taking some honey at room temperature in a spoon and make it drip on a flat surface. In case it dribbles rather than running in a continuous stream, then in that case the honey is either adulterated or its water content is more than 20%. On reaching the surface, the honey should make a blob, with quickly disappearing layers. Crystallization: Crystallization should not occur in the honey during initial 3 months after opening the container. But, this may vary for different kinds of honey. Certain types of honey may not crystallize for years, whereas other types may crystallize in few weeks despite being good quality honey. Water content also affects crystallization of honey, which indicates that the quality of honey is not good. It is very difficult, to differentiate unadulterated, natural honey from adulterated honey. You may find multiple methods of testing quality of honey online; however, various sources and types make it quite hard to form some specific rules for differentiation. The definitive method to assess honey quality is in laboratory. As a customer you may either believe or trust food labels or purchase it from your local trusted source such as beekeeper.